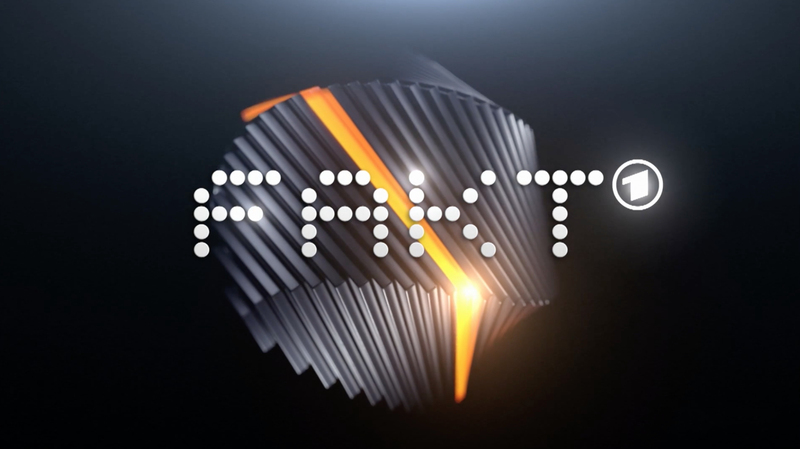 “Fakt,” a German political magazine show recently rebranded with a dark, sophisticated look. 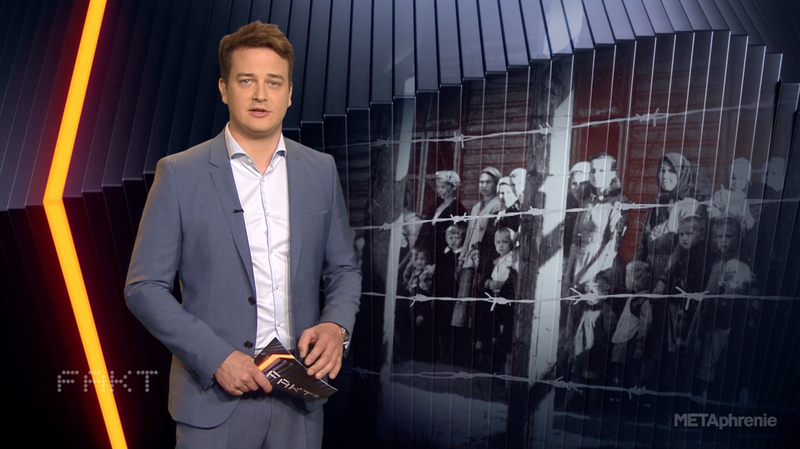 Airing on Das Erste and produced by MDR, the show switched color palettes with the new look, leaving light blue and silver for black and glowing orange while retaining the previous dot-grid logotype. 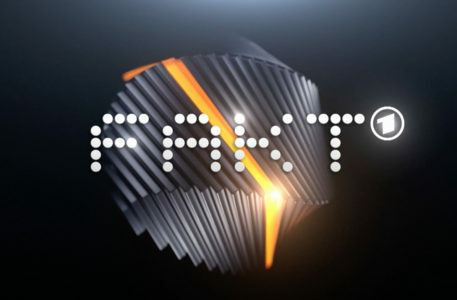 Developed by the design team at METAphrenie, the package for “Fakt” includes the show open, insert graphics and style guidelines for the future in-house creation of topical and other graphics. For the design update, METAphrenie started by creating thick rectangular 3D-slab elements, in the rough shape of a book or tablet that appear in “decks” that fan out and stack in a variety of arrangements to create numerous patterns and textures. A splash of color and visual interest is added by making one of these segments a glowing bright orange shade. A globe, which was featured prominently in the show’s old look, has been reinterpreted as a twisting, rectilinear ball made of the slabs with a bright orange “crack” splitting the element diagonally. 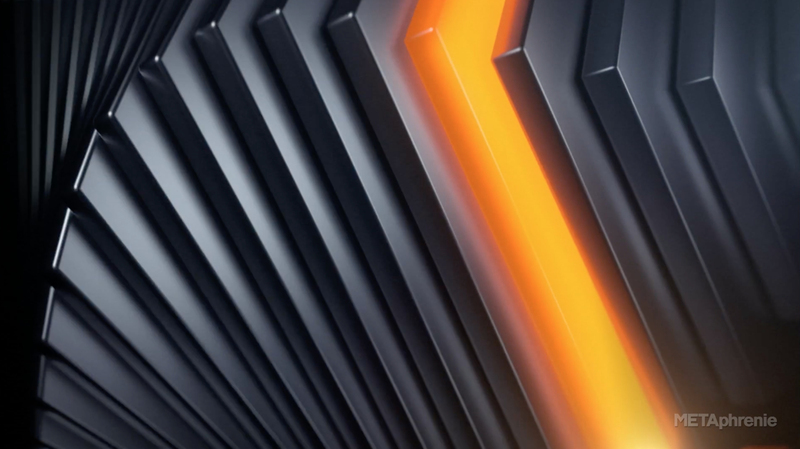 Diagonal strokes, which draw parallels to the logo’s “K,” are included in a variety of other ways throughout the package, thanks to the ever-changing viewport that lets both the black and orange slabs jut out in a myriad of directions. The slab elements are viewed from a variety of angles, creating an almost limitless combination of zig-zags, lines, textured surfaces and more. It’s worth noting the black elements aren’t a pure flat black — but actually include subtle reflections and lighting changes that make them appear to be made of a matte surface. 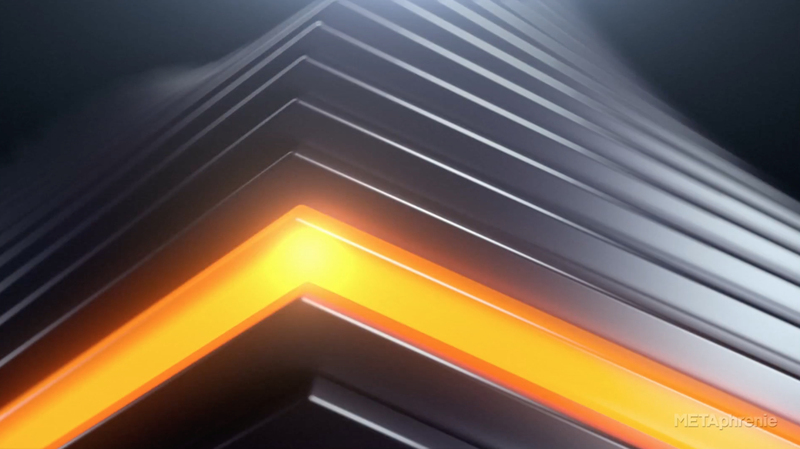 The bright gold band is another prominent feature as a diagonal element found in the show’s lower third insert graphics. 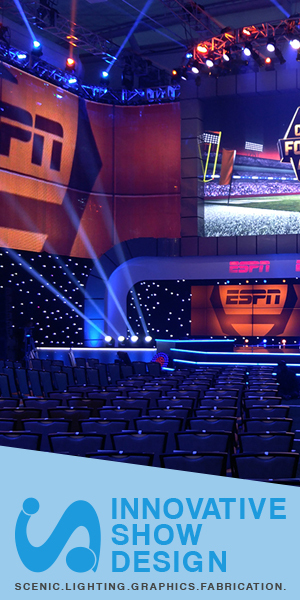 In addition to the graphics, the overhaul included new virtual set backgrounds. In these designs, the black and gold segments typically create a “frame” or “surface” for a topical image, which is often artfully blended into the background. The overall combination of the dark and orange surfaces with the gold band marks a reference to Germany’s national colors.